Professional rubbish removers in Warragul and surrounds! 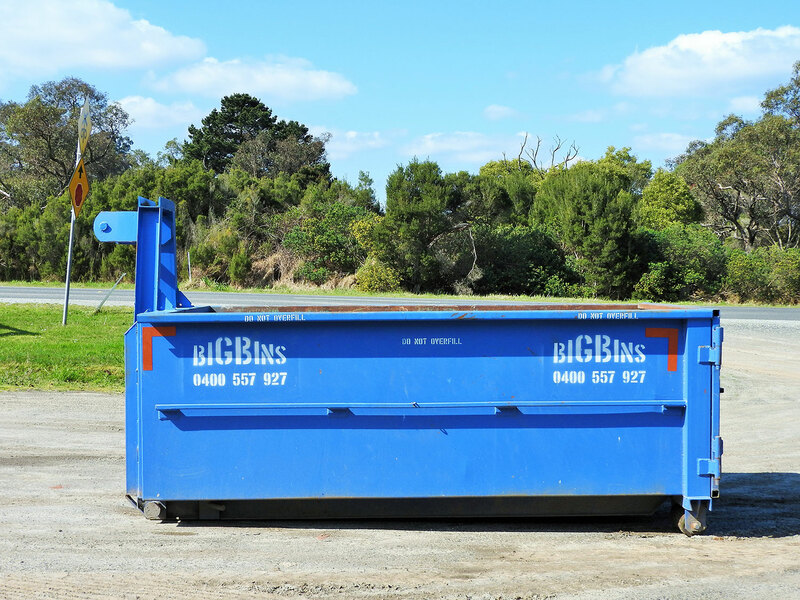 Warragul Big Bins has spent over a decade in your rubbish removal. Find out what bins and skips are for hire in the area by contacting us today! Want to get rid of rubbish from your renovation or building project? It couldn’t be easier – talk to us at Big Bins. Supplying you with a range of sizes from 2 all the way to 18 cubic metres, we can help make the process of cleaning up easy. These bins have the ability to hold a range of waste including garden, household clean-ups, construction waste, rubble, concrete and much more! Over 10 years in the bin hire industry! At Big Bins we endeavour to make home improvement as easy as possible. With our bins being offered over 3 days, we allow you to complete the task at hand over a 72-hour time period to ensure you have enough time for any job! If you want to learn more about our range of bins, talk to Andrew today. With over 10 years experience, he will be more than happy to offer his expertise, and make sure you have the right bins in place to make that clean up even easier. Not only do we offer exceptional choices, but we are environmentally friendly in the process. We at Big Bins believe most rubbish can be recycled. With the aim of reducing landfill, we instead put all of our rubbish through a Waste Recycling Station. This allows for recycling of materials to take place, reducing the amount going into our landfill! To find out more about the range of skips and bins we have available, contact us today. Simply call Andrew on 0400 557 927 and find out our pricing information and booking inquires. You could also message us through our page. We pride ourselves in quality customer service, providing you with an environmentally friendly and fast removal of all rubbish. Integrity, honesty and years in the business will allow us to provide you with the trustworthy service you need.